KONTAN.CO.ID - NEW DELHI. India's annual economic growth surged to a more than two-year high of 8.2 percent in the three months through June, powered by a strong performance of manufacturing and consumer spending. Should the economy keep up this momentum it will stand Prime Minister Narendra Modi in good stead when he seeks re-election next year, and dispel some of the criticism that his economic reforms haven't resulted in faster growth sooner. It easily surpassed the 6.7 percent growth posted by China for the same quarter, and it restored India's growth to levels posted by the Congress governments during the decade before Modi's Hindu nationalist Bharatiya Janata Party swept to power in 2014. In the same quarter last year, India's growth languished at 5.6 percent - far too slow to generate jobs for the mass of young people joining the labour market each year. Still, India's $2.6 trillion economy surpassed France's in 2017 to become the world's sixth largest, and it was not far behind the United Kingdom, according to World Bank data. Better rainfall this year, and government spending have given households more money to buy consumer durables, which helped the manufacturing sector post 13.5 percent growth in June quarter, in sharp contrast to the 1.8-percent contraction recorded a year earlier. "This is probably the best GDP trend we have seen in the first half of the fiscal year," said Shashank Mendiratta, India economist at ANZ Bank. "We expect RBI to hike rates in March-quarter next year with no changes this year," he said. 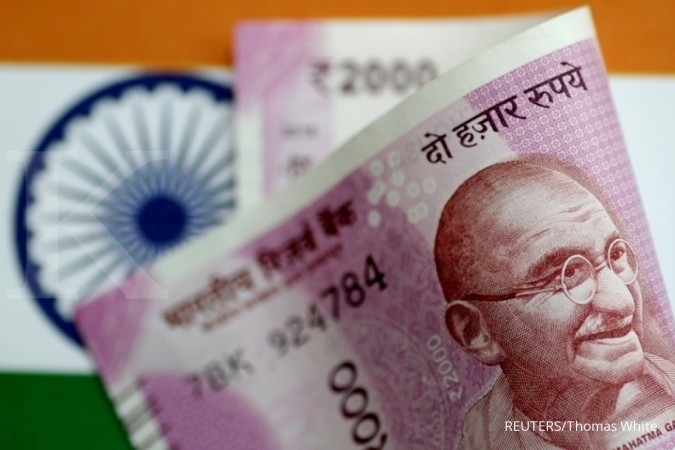 On Wednesday, India's central bank said economic growth was expected to accelerate to 7.4 percent in the fiscal year ending next March, bettering the 6.7 percent posted last fiscal year, despite risks posed by higher oil prices and global trade tensions. But others have warned with the rupee depreciating and oil prices rising, the economy could cool to about 7.2 percent in October-March period. The RBI's next policy is due on Oct.5. The rupee has lost 10 percent value against the dollar this year, touching a record low of 71 to the dollar in opening trade on Friday, and is the worst performing currency in Asia. ANZ's Mendiratta said:"Going ahead I expect growth to moderate as private investment is unlikely to grow at a faster rate due to stressed assets."